There are going to be days when you just can’t go outdoors; weather being the most disagreeable barrier to a successful day’s shooting. We’ve all been there. Or maybe it’s a question of how much equipment to bring. Sometimes the cost involved in location shooting is just too high to justify leaving home. So what do you do when a client wants to shoot outdoors and the appointment turns out to be one of those days? The answer: green screen photography; the possibilities are endless and fascinating when you put your mind to work. 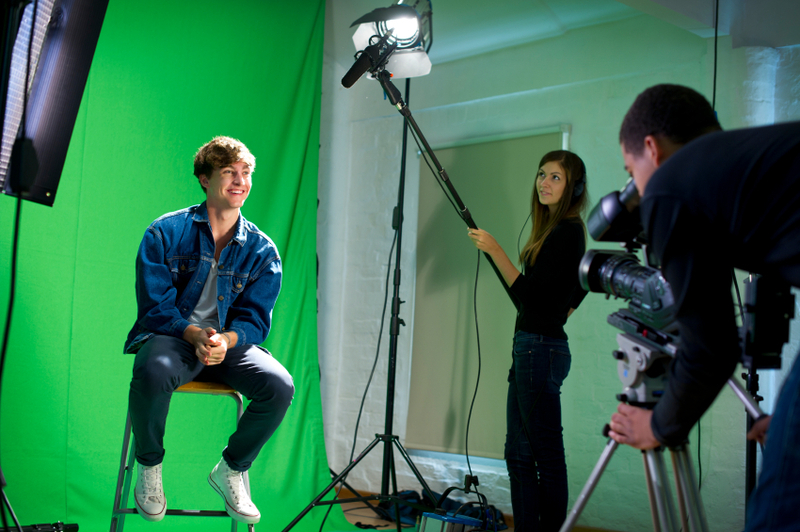 Using a green screen is an integral part of movie production these days. If you’ve seen Avatar, you’ve seen a movie made almost entirely utilizing the techniques of Green Screen, or Chroma Key technology and computers. It’s getting so Hollywood can’t make a movie without them these days. But in still photography the technique is largely underutilized, and a smart photographer will use every tool at his disposal to create great images. This technique may change the way you think about photography, especially people. The popular response and the imaginative possibilities of this technique are so stunning that you almost have to incorporate them into the choices you offer your client. Once they see the scope of what you can accomplish with this relatively simple technique, they are going to be amazed at your wizardry. 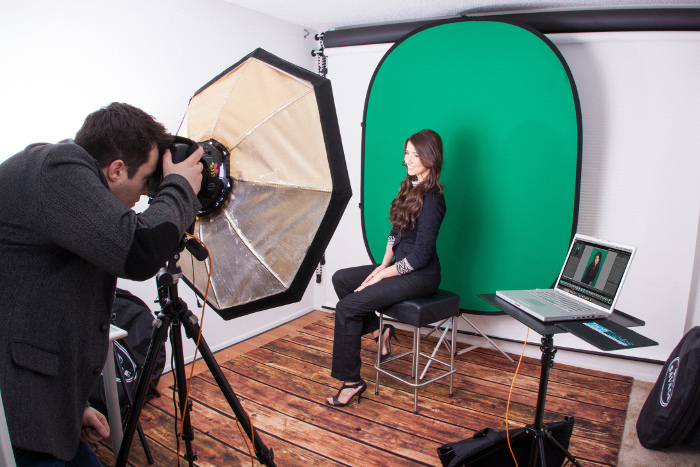 What Exactly is Green Screen Photography? Simple. You photograph your subject in front of a green screen background, then import the image in to your computer and with the help of software, eliminate the background (a very easy task) and replace it with . . . well, anything your client’s heart desires. Want to shoot your client in Paris? No problem. Shoot her with a green screen background and swap out the background for the Eiffel Tower. You don’t even have to leave home. Unless, of course, your client wants to fly you to Paris! Imagine how delighted a kid is going to be when you can send him to the moon on a spaceship, or take a couple to a magnificent waterfall in the Amazon Jungle. The only limitation to this technique is your own imagination. The skill is easily learned and simple to use, and it won’t cost a lot when you think of the potential for new business. Green screen photography, or “chroma keying” can be done with backgrounds of any color that are uniform and distinct, but green backdrops are more commonly used because they differ most distinctly in hue from most human skin colors. No part of the subject being filmed or photographed may duplicate a color used in the backdrop, or else, when you swap out the background, you’ll take some of your subject with it. So, make sure if you’re using a green background that your subject isn’t wearing any green clothing. The three most important considerations with green screen photography are the size of the object you’re photographing, the location of your shoot and the choice and size of the green screen backdrop. You wouldn’t use the same size material for a portrait that you might use to photograph a car or an elephant, will you? There are three options at your disposal when it comes to the choice of material: muslin, vinyl and seamless paper. In the studio or on location, a single portrait or a still life will require the least amount of material and a wider range of material choices. Take your pick of collapsible backdrops, seamless paper, muslin, or matte vinyl. The only caveat, and this applies to any sized object you might be photographing is: be careful in using green screen when photographing objects that have large areas of white. White objects will absorb some of that green-reflected light and will compromise your subjects in the final photo. That means more work in post-production. Don’t fix your problems in post – do the work on the set in the camera and avoid extra post-production. Larger objects are going to require larger materials: Tech Green Seamless Paper is available as large as twelve feet wide. That should easily accommodate an elephant, but just make sure their feet are clean. You don’t want elephant footprints on your seamless! Which brings us to another potential consideration: footprints. Seriously. If you’re going to be shooting people or even animals, a messy floor from footprints can leave you several hours of clean up in post-production. That is where a matte vinyl green screen comes in handy. It’s washable and reusable, which can’t be said for seamless. Vinyl is available in up to 10 feet wide. 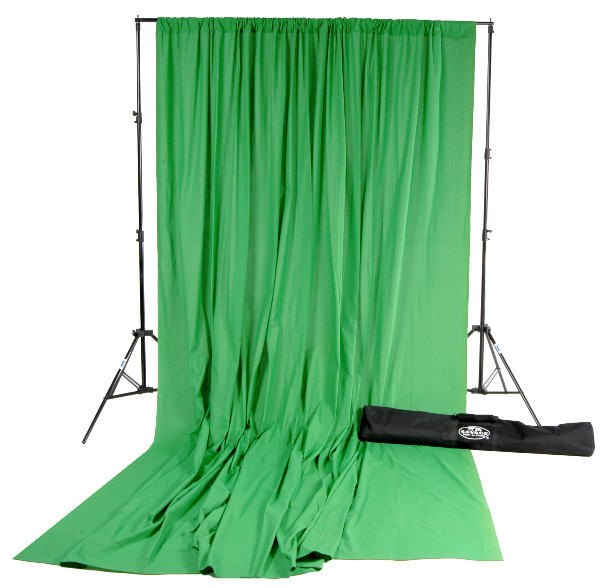 Muslin green screen backdrops can also be a good choice as they are reusable. The only thing to be aware of with muslin is its tendency to wrinkle, and wrinkles add shadows which is a must to avoid, but having a background you can reuse will be an enormous cost savings over the years. Muslin runs up to 10 feet wide. The key is to light the background evenly so selection is easier. Use multiple umbrellas and meter the backdrop at several place to ensure even illumination. If you are shooting your own background, both background and foreground should have same light. Don’t place the light on one side of your client’s face and have the background light coming from the other direction. This applies also to color temperature, to contrast and to depth-of-field: if your subject is on focus, the background should be slightly out of focus. Both background and foreground should be shot with same focal length. The human eye perceives this difference very quickly. You can NOT have a background with 35mm and subject with 105 mm. That’s it, really! Simple and cost-effective. Armed with all this information, and some initial testing (not something you want to do on a paying client), you can transform your workflow, create eye-popping images that your clients will love and increase word-of-mouth that will have clients beating a path to your door. 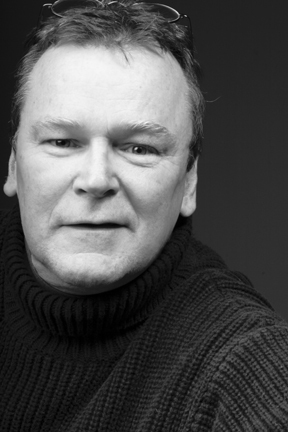 James Schuck is a writer and photographer working in Southern California. He is a graduate of the School of Visual Arts in New York City and has photographed everything from Architecture to Auto Parts to Cookies to Portraits and Weddings. Great information – definitely going to try a green screen on my next video. 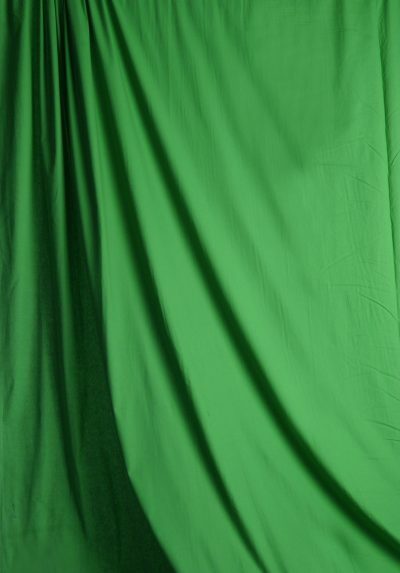 id like to order green screen cloth. im from philippines. how? Please let us know if we can assist further, thank you! 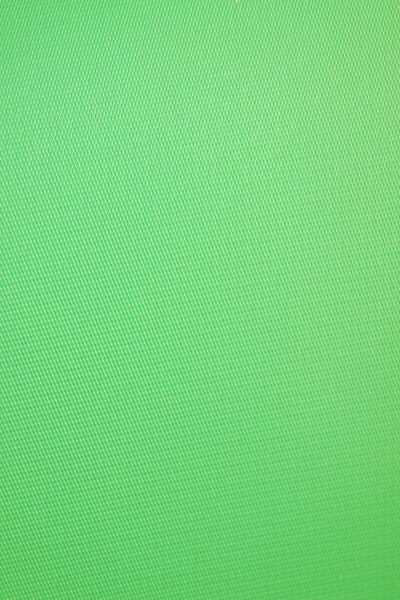 How can I create a custom background to use with my green screen software and backdrop? Will any Jpeg work . The software has a lot of choices but I would like to add my own. Hi Gerry, great question! Yes, the software allows you to import any jpg, so you can use your own.